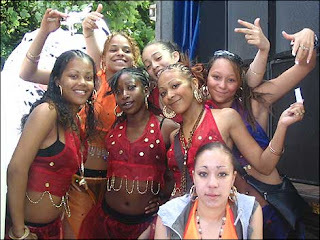 History is made at night: Sound Systems Ban at Luton Carnival? Bedfordshire police appear to be digging in their heels over a ban on urban sound stages at Luton carnival. The force remains committed to keeping the dedicated music sites out of the May event for safety reasons. But carnival bosses say the police are simply dictating how the town celebrates its biggest day on the calendar. Luton Carnival Arts Development Trust's Paul Anderson said: "They basically, flatly turned it down and we are still wondering why they are being opposed to it when the sound sites didn't have any incidents last year. We are starting to see a police-run carnival and that's not what we want." A meeting on Thursday, between police, the carnival trust, the Afro Caribbean Cultural Development Forum and the Luton Sound Systems Forum, was the latest attempt by Luton Borough Council to find a solution suitable to all. As first reported in the Luton News, the urban and reggae sound systems, which attract thousands of people from across the UK, are set to be removed from the event at the insistence of the police. Supt Andy Martin, at Luton Police Station, said an objection raised by the police against four of eight music sites was based on previous experience of the carnival and was purely on the grounds of public safety.